A research has indicated that the smart phone buyers across the globe are choosing Android smart phones over iPhone 4 in the recent times. However, analysts feel that the lined up launch of iPhone 5 will certainly change the fortunes of smart phone industry from scratch. The glazed up and feature filled iPhone 5 is expected to be launched in October amidst international fanfare from all corners of the globe. 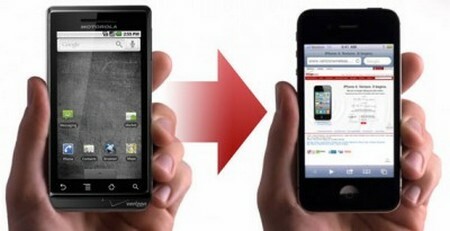 The Android variants are cheaper and have been able to reciprocate the features of an iPhone quite well too. One of the other factors attributing to its success has been the Android Market app store which features more number of free apps than the App Store. There are firm rumors in the market gripping up in popularity that the new iPhone 5 will have a low cost variant to live up to the expectations of users. The value centric users probably would not opt for an iPhone this time round as there are one too many fine vendors offering better quality products such as HTC and Samsung. Only time will let us know if the all glitz around iPhone fades prematurely or it is able to sustain the onslaught from competing brands.